We lead this week’s show with debates — one between candidates running for governor of California, a contest that has been significant in the past but is less so this year; and one between candidates running for the Senate from Kansas, which is never close or significant but one which may very well determine which party controls the Senate next year. The former debate was between California Gov. Jerry Brown, a Democrat seeking his fourth non-consecutive term, and his Republican challenger, Neel Kashkari, a former Treasury Department official in the Bush administration. KQED’s John Myers was the debate moderator and joined us to share his observations. The latter debate featured three-term GOP Sen. Pat Roberts and his independent opponent, Greg Orman. Kansas has never — never — defeated an incumbent Republican senator. But Roberts is running scared, as Orman, a wealthy businessman, is selling himself as someone tired of the mess in Washington, tired of the bickering between the two parties, and promising to end politics as usual. KCUR’s Steve Kraske, a longtime observer of Kansas politics, is as surprised the race is so tight as everyone else is. Michael Pope of WAMU also stops by to give us his analysis of the trial of former Virginia Gov. 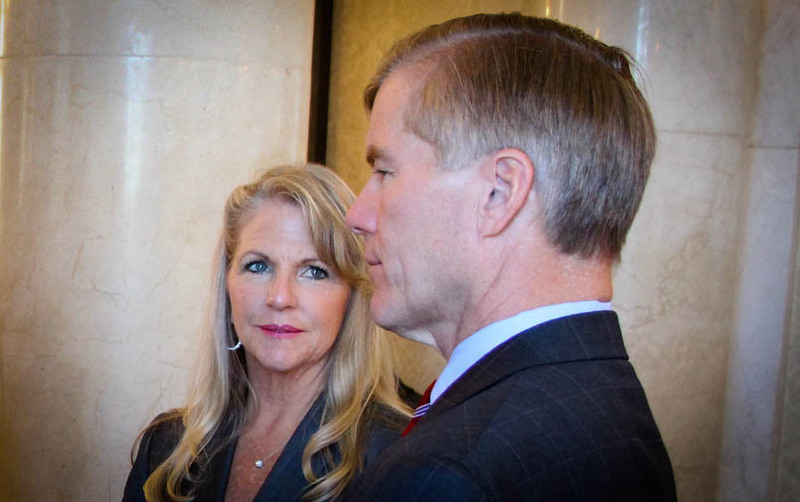 Bob McDonnell, once a rising star in Republican politics. McDonnell and his wife, Maureen, were convicted on several corruption counts, a trial that was equal parts political drama and soap opera. And we remember the political fallout of Hurricane Katrina. Nine years ago this week, Michael Brown was forced out as the head of FEMA, after it was clear the Bush administration was bungling the recovery efforts in the devastated city of New Orleans. The beating the city took was overwhelming: more than 1800 dead, $108 billion in property losses. The political aftershocks were bad too. Everyone involved — President Bush, Louisiana Gov. Kathleen Blanco and New Orleans Mayor Ray Nagin all suffered politically from the hurricane. Tyler Bridges, a longtime New Orleans political reporter, remembers the carnage. Episode #41: NH 2016 — Are We There Yet?